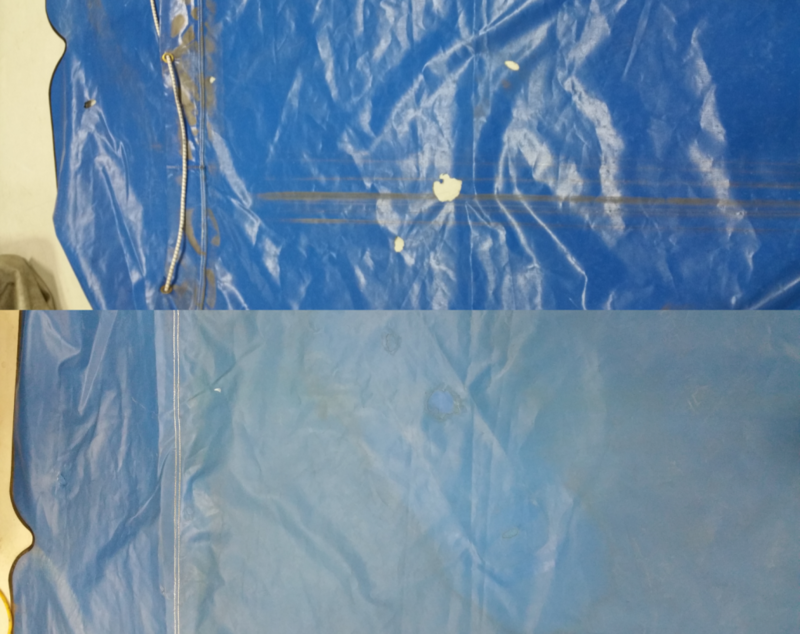 Did you know that we actually started out as a tarp repair company before expanding into manufacturing our own tarps? Since 1983, we’ve used only the best materials and products while repairing your tarps and covers, and now you can buy your own for on the spot quick repairs! 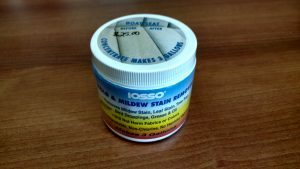 See our list of patching and cleaning products below to get the best hold on your patches! Be sure to check out our before and after pictures and introductory patching video below! 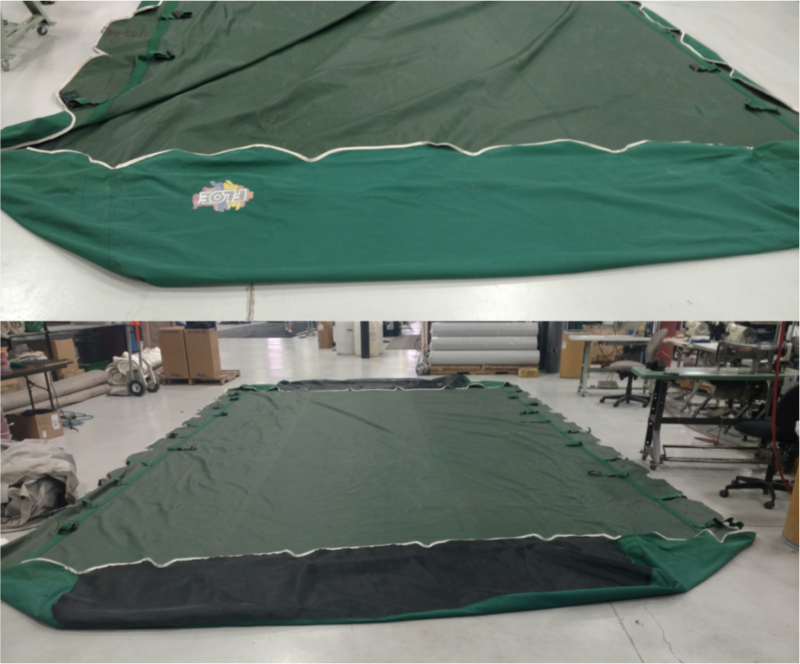 Whether you’re on the road with a trailer or having fun out on the lake, nothing can inconvenience you more than getting a hole or tare in your tarps and covers. That’s why we’ve put together a full kit to get your products repaired and ready to go on the spot. 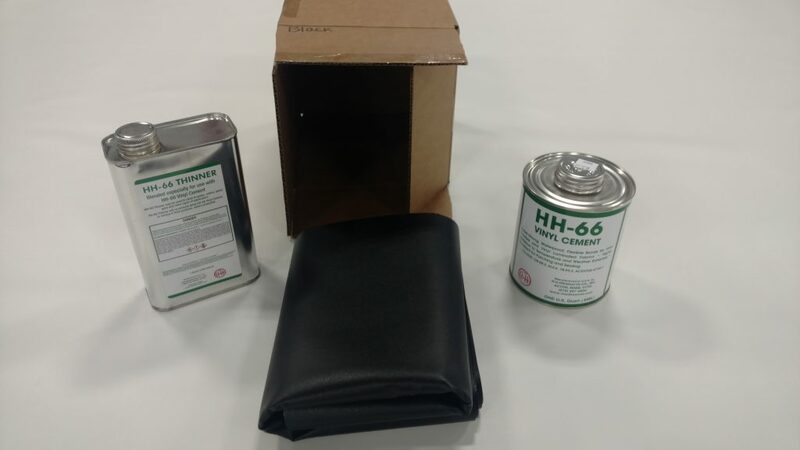 Our Tarp Repair Kits come boxed together with 1-quart of HH-66 Vinyl Cement, 1-quart of HH-66 Thinner and 10 sq. feet of our 18 oz. truck tarp vinyl. 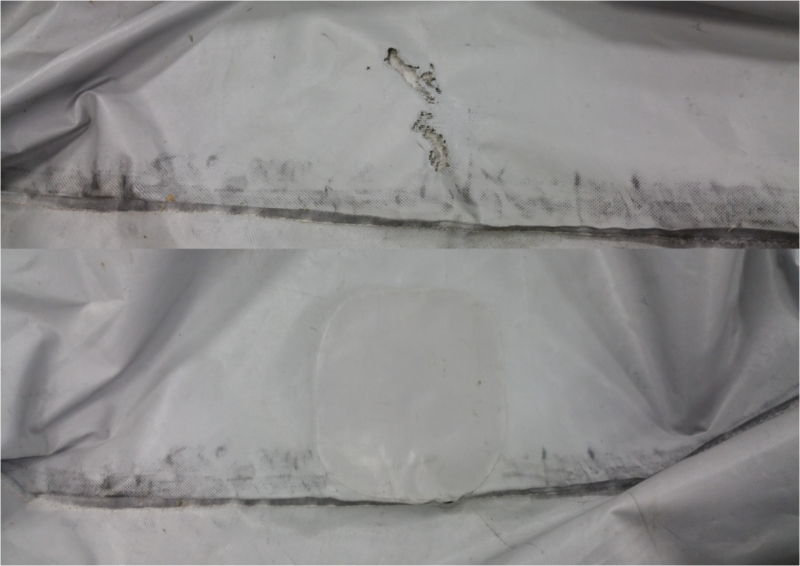 We stock Black and White Tarp Repair Kits, but can customize your kit for any needed stock color, or material! Better yet, the price of a kit starts at only $48.00! If you are in need of a Tarp Repair Kit, or have any questions on product usage, click on the “Contact Us” button below! R.H. Products Co. Inc., HH-66 Sold Here! Although there are many products on the market and your local retail stores to choose from, we’ve taken the guesswork away and found the best of the best to use for your patching needs! R.H. Products Co. Inc. manufactures the best specialty adhesives products with their HH-66 line, and are what we use and trust for our tarp patching in house. 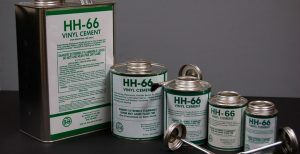 The HH-66 Vinyl Cement is a superior quality, fast drying adhesive. It is used extensively for bonding vinyl coated and vinyl laminated fabrics to themselves or to various materials. 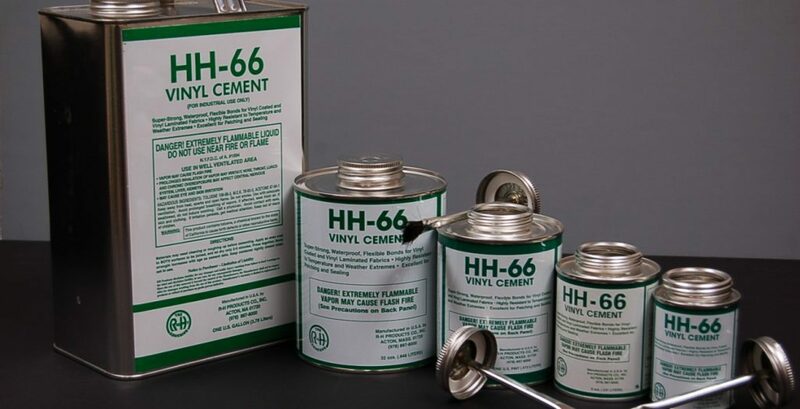 HH-66 is also used to bond urethane’s, vinyl foams and films, rigid plastics, synthetic fabrics, wood, leather, and metals. 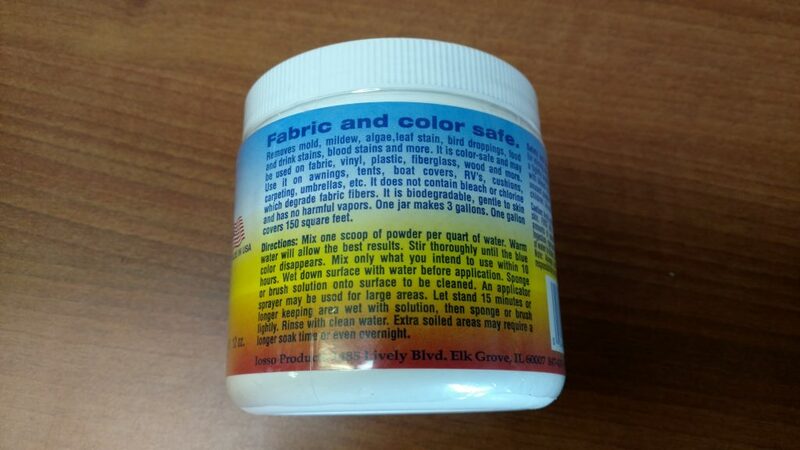 It is outstanding for sealing or waterproofing stitched seams. HH-66 dries quickly with a very strong, yet flexible bond. It is not affected by weather and temperature extremes, and is highly resistant to oil, fuel, grease, and many other chemicals. Application is by brush, roller, or squeeze bottle. Dried films may be reactivated to the tacky state by high heat or solvent. 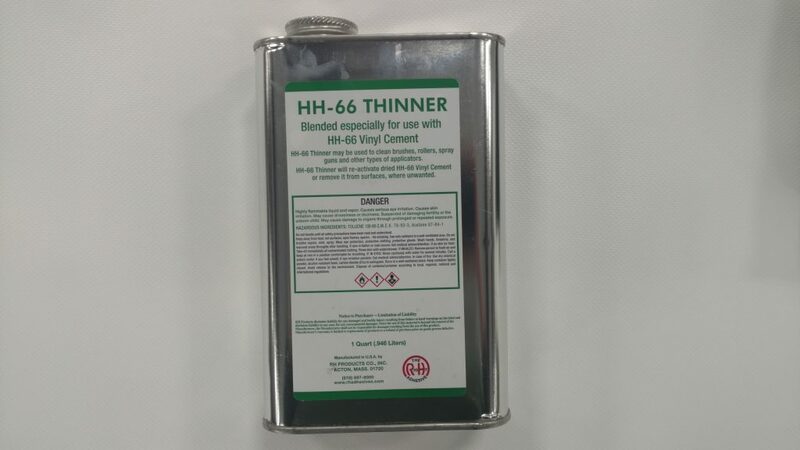 Although it is a fantastic product in itself, use the HH-66 Thinner to prep the area for best results. Before a patch can be applied to a cut vinyl area, the material must first be cleaned to ensure a solid bond between the glue and patch. 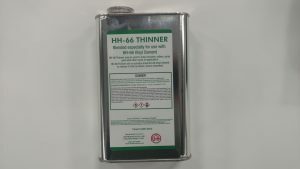 The HH-66 Thinner/Cleaner is the best cleaner to use on areas with caked on dirt, adhesive and most other grime that will interfere with a patch sticking to the material. Pair this with the HH-66 Vinyl Cement for the possible patch quality. Need something a little more handy in the cab of your truck for those inconvenient tears? 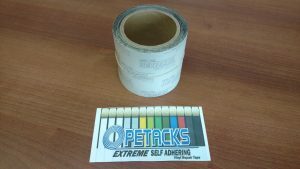 Petacks has the solution with their Extreme Self Adhering Vinyl Repair Tape! Their Vinyl Repair Tape comes in 4″ wide rolls wrapped up like your standard tape roll, making it easy for storage. This product also eliminates the need for patching material and adhesive, but is more-so intended for smaller cuts and tears as opposed to large rips or shredded vinyl. Click the PDF below for more information, instructions and pricing! Color & Fabric Safe! Removes mold, mildew, algae stain, bird droppings, spider droppings, tannin (leaf) stain, tree sap, tough dirt, grease and oil, some food and drink stains, blood stains and more. Recommended for use on awnings, tents, boat covers, canvas, cushions, carpeting, umbrellas, camping gear, inflatables, fabrics, vinyl, plastic and fiberglass. It is non-chlorine, biodegradable and has no harmful vapors. One 12 oz. jar makes up to three gallons of solution. Pick up a 12 oz. jar today for only $25.00!